The newest luxury seaside town in Northwest Florida, Alys Beach is home to stunning real estate. Our Alys Beach Real Estate blog examines recent sales, featured listings, and explores why this community is sure to become one of the most sought in the region. Found 11 blog entries about Alys Beach. Thursday, April 11th, 2019 at 8:17am. Alys Beach is a stunning one of a kind coastal village, and if you have traveled down Scenic 30A, you have undoubtedly seen it. You can’t miss noticing the striking bright white exteriors that are used throughout this genuinely unique village that looks like some magical place in the Greek isles. Most of the meticulously planned picturesque coastal communities here along 30A have their own architectural style, but Alys Beach truly stands out. Thursday, April 5th, 2018 at 8:04am. Thursday, March 30th, 2017 at 7:59am. The remarkable architecture found in prestigious Alys Beach along South Walton’s Scenic 30A has inspired the design of a sensational water front home on the bay that borders the extensive Point Washington State Forest. The Dutch Indies Colonial design mirrors what’s found at Alys Beach with bright white stucco walls, soaring stepped roofing eaves, square arched portals and thick concrete shingles. However the location of this stately home offered for sale is at the exclusively gated bay front residential community known as The Estuary in Santa Rosa Beach. The privileged private forested setting on Choctawhatchee Bay includes towering pine trees, magnificent Magnolias and ancient Live Oaks. Thursday, February 9th, 2017 at 10:50am. 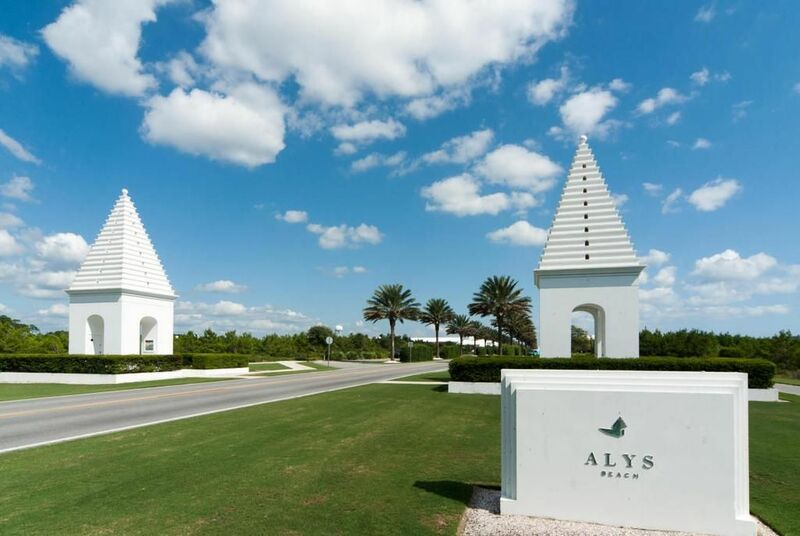 Alys Beach, Florida is one of the most prestigious premier residential beach communities in the nation. It straddles both sides of Scenic 30A where it adjoins Seacrest Beach and is just west of Rosemary Beach. Thursday, August 25th, 2016 at 7:56am. Alys Beach is one of those places along Scenic Highway 30A - home to the rich and famous. As one of the most prestigious residential beach communities in the nation, Alys boast signifigant architecture, master craftsmanship and the most prestigious locale. This carefully crafted Northwest Florida development is reminiscent of brilliant bright white sun splashed villages you might see along the coast of Greece and is designed by the world renowned Duany Plater- Zyberk team who introduced the pedestrian friendly concept of “New Urbanism” architectural planning and town design in the iconic town of Seaside. Homes here have classical designs that include private atrium styled courtyards, flowing fountains and plunge pools. Thursday, June 9th, 2016 at 9:03am. Thursday, May 19th, 2016 at 8:01am. Walls of glass doors and windows frame the beachfront scenery from the main open living area and Master Bedroom. The Master Bedroom has a full bath en suite while a second full hallway bath serves the Guest Bedroom and doubles as a convenient powder room. Thursday, January 29th, 2015 at 3:39pm. Located at 140 Charles Street, this regal residence known as “Aspri Villa” and is priced at $7,950,000, which currently makes it the most expensive home for sale in all of South Walton. There are justifiable good reasons for this, which includes its splendid premier location off Scenic 30A, its unique design and the fact that it looks like the kind of place that is featured on the latest cover of Architectural Digest. The Northwest Florida estate is located in one of America’s most prestigious residential beach communities, Alys Beach. This carefully crafted development is reminiscent of bright white sun splashed villages you might see in Greece along the Mediterranean, however here it sits beside the jewel toned waters of the glistening Gulf of Mexico.